Marshall University’s Campus Activities Board and the Intercultural Hispanic Organization began Hispanic Heritage Month celebrations today on Marshall’s Huntington campus. The festivities, which will include music, games, discussions and more, will highlight Hispanic traditions until Oct. 6. Pamela Young, public relations director for Campus Activities Board, said the monthlong series of events serves to honor the cultures of Latino and Hispanic students, faculty and staff, as well as to help all embrace diversity at the university. El Sabor Latino, or The Latin Flavor, kicked off on the Memorial Student Center plaza Monday. Beginning at 7 p.m. each night in Harless Media Room will be Los Graduados/Graduates Tuesday, Sept. 26; Noche de Loteria/Latino Jeopardy Night Wednesday, Sept. 27; Bailemos/Let’s Dance Thursday, Sept. 28; and La Casa de los Espiritus /The House of Spirits Friday, Sept. 29. A Maestros y Estudiantes/Professor and Student Q-and-A panel will take place at 7 p.m. in Harless Media Room Monday, Oct. 2, and a showing of Selena La Pelicula will begin at 7 p.m. in Harless Media Room Tuesday, Oct. 3. The A.E. Stringer Visiting Writers Series Hispanic Heritage Month events will feature a cultural discussion panel, “Building Community Through Activism and the Arts” at 7 p.m. Wednesday, Oct. 4, and a reading featuring Carmen Giménez Smith and Dan Vera at 7:30 p.m. Thursday, Oct. 5. Both events will take place at the Visual Arts Center. 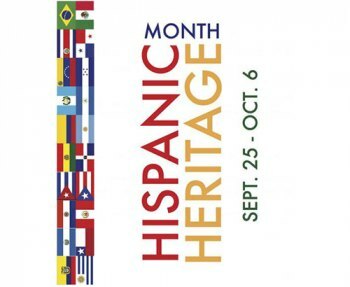 The Hispanic Heritage Celebration will conclude with Pierdete en el Ritmo from 8 to 11 p.m. Friday, Oct. 6. For more information, contact Gretel Toloza Alvarez by e-mail at tolozalavarez@marshall.edu or Young at young384@marshall.edu.